Selected producers –the heart and soul of the Festival – are on hand to illustrate their wines to professionals, enthusiasts and journalists, who meet in Merano to transform their passion for wine into a unique experience. The pleasures of the palate are combined with a delight for the eyes, because the Festival is held in the majestic rooms of the Kurhaus, an elegant historical building in the center of town. The result of the intense work of nine tasting committees, which selected the best wines from over 300 vineries from Italy and more than 120 international winemakers. 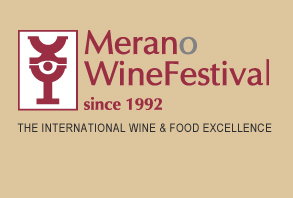 In addition they chose the best delicatessen from over 100 food stores for the Merano WineFestival. 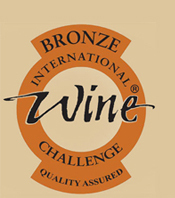 The International Wine Challenge (IWC) owned by William reed Business Media is now in its 31st year. The IWC is accepted as the world’s finest and most meticulously judged wine competition which assesses every wine blind and judges each for its faithfulness to style, region and vintage. Throughout the rigorous judging processes, each medal-winning wine is tasted on three separate occasions by at least 10 different judges and awards include medals (Trophy, Gol, Silver, Bronze) and Commended and Great Value awards.